So back during the Gulf War, some GI had a Nintendo Game Boy with him. He got attacked and not only did he make it, his Game Boy did too. 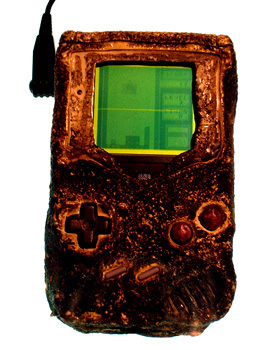 Some people are claiming it could just be a re-built Game Boy with the damaged casing re-attached, but I think not. I had one back in 1990 with Tetris and Super Mario Land. That thing was Thick As A Brick.